Preventing corrosion and condestaion is in general one of the biggest challenges when it comes to storage areas. Thermal insulation is not very common in warehouses or storage areas. This is a logical strategy, its only products in there and why would anyone invest high amounts of money for insulation. This may be a good strategy when storing non critical materials. But what happens when storing e.g. electronics, steel, carton boxes..? In those cases condensation may have a fatal effect on the stored materials. Reason to heat the warehouse. In most cases it is heated, just to be sure, at a too high temperature. So: using too much energy and losing money. 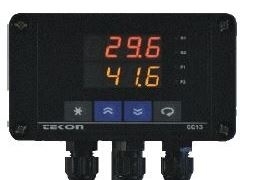 A simple and very energy efficient method is to use a Dewpoint controller instead of a 'normal' thermostate. The Dewpoint temperature is the temperature at which the water vapor in the air will turn into fluid = condensation. The outside Dewpoint changes based on meteorological conditions. Outside we notice this as 'fog' or 'dew'. It means the temperature and the Dewpoint temperature are the same or even the Dewpoint temperature is higher compared to the ambiant temperature. Inside we notice it e.g. when cooking without enough ventilation. Watervapor condenses on the cold surfaces like windows. 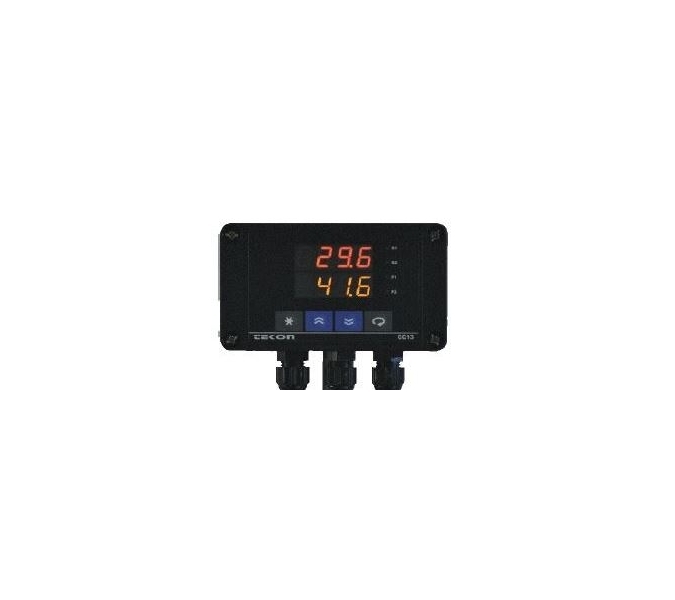 Based on a continues measurement of the temperature and the humidity, a Dewpoint controller will provide the necessary information. Using a Dewpoint controller it is possible to only heat the area when the temperature is getting too close to the Dewpoint instead of heating it just based on temperature. More information or assistance? Just drop us an e-mail or give us a call. Go to Dewpoint controllers.